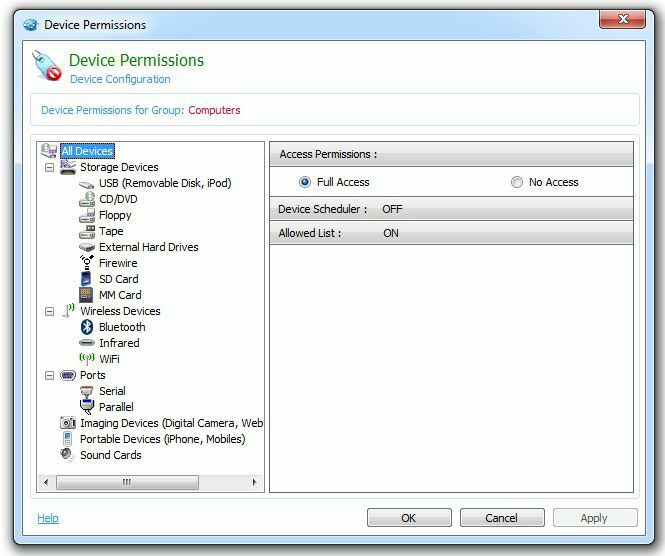 AccessPatrol’s Device Blocking feature help administrators control the device usage based on the various roles and departments on your network. Administrators have the ability to centrally control the usage of various endpoint devices on the network by blocking and restricting the device access to the computer. Having total control of our endpoint devices will prevent unauthroized downloading and uploading of data to the office computers. The device access control can be set at the computer level and at the user level, provide high level of security. *USB mouse will not be blocked when the device permission to deny access for USB is applied.